A time-honored tradition and interior decorator’s go-to is to add curtains to your windows. A layered look with sheers behind a heavier fabric allows filtered light through during the day. You control how much light comes in by the use of tie-backs for the heavier drape fabric. Release the tie-backs in the evening and pull the curtains together for total privacy. Shutters are lovely. They add a special charm along with their practicality. 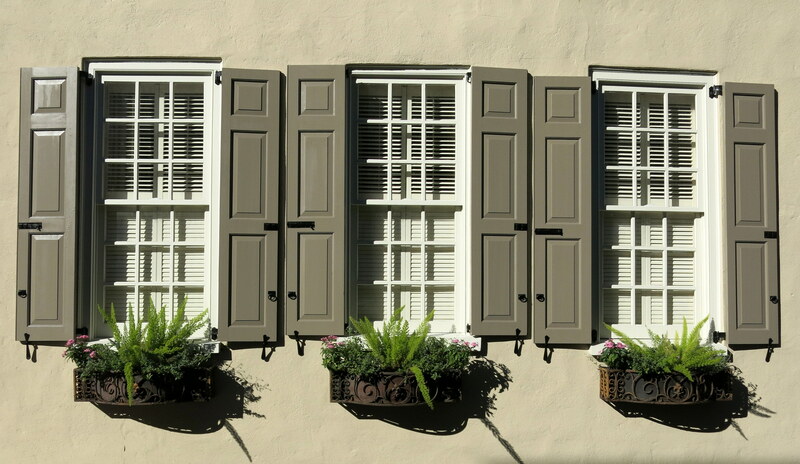 The only difference between “plantation” and “regular” shutters is the width of the louvers (slats). Plantation shutters have wider louvers. The slats can be opened or closed to adjust the amount of light you want in the room during the day. Close them all the way at night for complete privacy. Enclosed Blinds: used to replace your existing door glass that has the blinds built inside the glass panels. Add-On Blinds: similar to enclosed blinds, except as an additional glass insert installed atop your existing door glass panel. Using film on windows is becoming increasingly more popular, for very good reasons. First, it is a simple DIY installation that can save a good amount of money for the homeowner. The film is being used not only for privacy but also to keep your home healthy by providing protection against harmful sun rays. 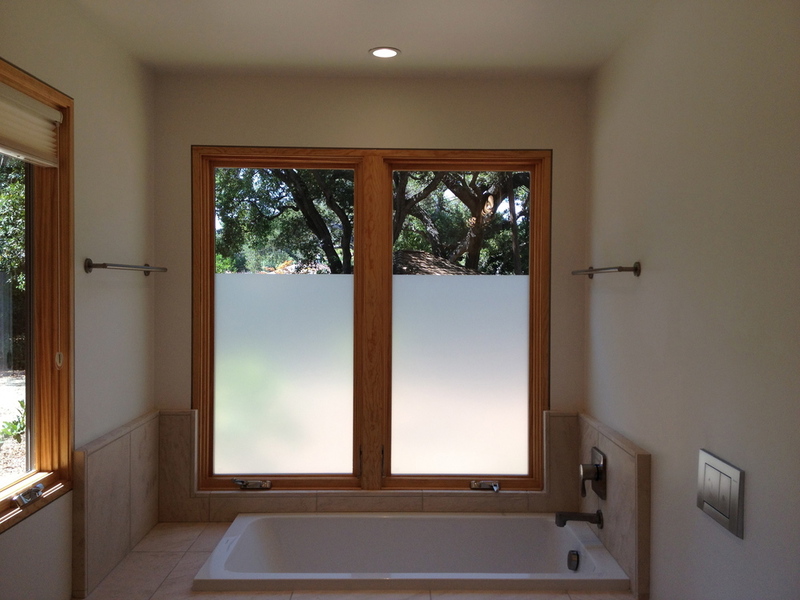 Window film used for privacy has a two-fold effect that may not give you all you are seeking. Often if the purpose is to keep others from seeing in, you’ll also lose your ability to see out. Be careful when choosing window film for your home. Granted, using plants to block sight into your home is not for everyone, mainly not for those without green thumbs. However, if you are a lucky soul with the ability to grow anything anywhere, using plants will benefit you in many ways. Plant selection should be based on the size it will grow, the amount of sunlight it will need to thrive, and how it will contribute to the air quality within your home. Used wisely and strategically, you can accomplish your goal of keeping peepers at bay while improving the air you breathe and enhancing the atmosphere of your home with natural relaxation. This may take you out of your comfort zone. It definitely is thinking outside the box. Depending on the layout of your home, it may or may not even be feasible. However, if the layout is conducive to success and you are up for the challenge, this could be the perfect method to maintain your privacy. Simply explore the possibility of moving your sleeping quarters to the main floor and your living quarters to the second story. You would normally close your window coverings before going to bed anyway. The majority of the time you are awake would be spent at a higher elevation beyond the level of prying eyes. There you have it, just a few ideas to get you started. Your home is your private domain and should remain that way. With a little effort, you can have the privacy you deserve. At Zabitat, we want to help you achieve that goal. Browse our website for ideas, then contact us. We’ll work together to keep the peepers prowling and away from your windows!